This frame was photographed while on assignment for Bright Hope World in Northern Ethiopia. 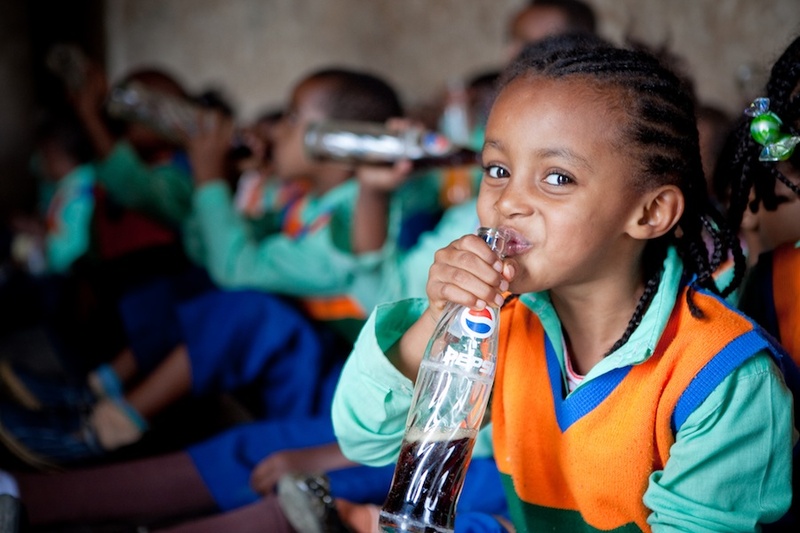 This young school girl was enjoying a nice pepsi while on a field trip to the Fasilides Castle in Gondar. To purchase a print click here. Bright Hope World is a private, Christian based, humanitarian organization committed to developing partnerships with churches and key people in third world countries to help them develop themselves and their communities.